We can heal from those feelings of anxiety and the patterns that help spur them to arise. We can learn to turn the flame down of that fire of fear that lives inside of us. We can unlearn patterns that we have learned behaviorally-speaking and develop new ways of living and being. When we are used to reacting, rather than consciously choosing to respond to all that we experience in our environment, day after day, moment after moment, and have no guidance of how to navigate such territory, it’s no wonder we feel overwhelmed. I became hypervigilant as a part of my experience with anxiety and panic attacks. As I continue to walk through my recovery from years of anxiety and panic attacks, I feel as if I am undergoing a great unwinding from so much time spent in reaction and in resistance to what I encountered in my world. 1) Slow down and take it easy: We live in a culture that feels like it moves at record speed. We feel pushed to perform. We might even feel as if we are always late in a world filled with deadlines and clock-worked schedules. This frenetic energy pace is stressful for anyone. We can do our best to become aware of the rapid pace of society and act. We give ourselves a little more time. We learn to go a little slower. People will wait. For instance, you would be surprised how helpful a ‘pregnant pause’ can be during a conversation. It’s okay and maybe even productive to slow down enough to take a measured, deep breath – or three, or ten, or a thousand breaths. Open yourself to that rich and spacious spot that sits silently and with such innocence in the present moment. We can live in the hustle and bustle of the world, but not necessarily feel and exhibit the excitement of such a world. 2) Come back to the present moment: Reconnect with your senses to help bring you back to a grounded sense of yourself and stay here, rather than slip back into the past or slide into projecting into the future. We want to engage our tactile senses here. Run your hands through your hair, the soil, the grass, or along the bark of a tree trunk. Take off your shoes and place your feet on the earth. Cuddle yourself into a soft blanket. Take a hot bath. Even a nice long drink of water can help ground us. Get in touch with all your senses as if you were checking them off of a list: what are you seeing, hearing, smelling, tasting, and feeling in this moment? 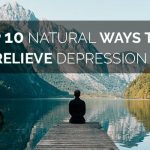 These are all thing you can do to help you come back to the feeling that you are steady and buoyant when you feel unanchored. 3) Embrace the world rather than brace against it: Open yourself to all the motion in life, rather than trying to contain any of it. This was quite the lesson for me to learn and I felt so much peace as a result. I once pushed with all my might against anything in my world that didn’t feel good. It never occurred to me to just allow myself to feel whatever I am experiencing in the moment, even if it was discomfort. When we accept things as they are instead of resisting their presence, we find we just get along better with ourselves and our world. 4) Meditate: Give yourself the gift of leaving the thinking mind behind, or at least giving it a rest, and silence your thoughts through meditation. It never ceases to amaze me what a powerful practice this is for me when I have what feels like a chaotic day. Meditation not only brings me right back into the present moment, but I also find a deep and lasting sense of inner peace. 6) Build structure into your life and stick with it: We thrive in structure and find security and surety in it. Develop a routine and stick with it. If you have a chaotic day, do your best to shift back into your routine and find your rhythm again. 7) Keep your health front and center: Good healthy foods, plenty of water, regular exercise, and a disciplined sleep routine all help contribute to keeping us steady and focused in a mindful way. It may sound simplistic and you have heard this before, but our health is a big part of our ability to adapt in a healthy way to the joys and challenges in life. When our challenges turn into anxiety and stress, a look at our health habits is front and center as we move to relieve our stress reactions to life. 8) Manage your expectations: Become conscious of what you expect. Be realistic and flexible. Whatever it is that you are experiencing is impermanent. You will get through it. Just be mindful of deciding ahead of time what that will look like or turn out to be. The first time you rode a bicycle, you weren’t quite sure what would happen. You hoped you wouldn’t fall, but if you were like me, you fell once or twice. I didn’t count on how scary those falls would seem to me. I felt pretty inept at not getting it right the first time. My expectation that I would ‘get it right’ the first time made my falls that much more terrifying and only deepened my sense of insecurity. If I had dropped any expectations of what the experience would be like going into it in the first place, I might not have felt so forlorn by falling. I would have just gotten back up, without the judgment, that I hadn’t done it ‘right’. By letting go of thinking that “things should be a certain way”, you will feel your very being open, expand, and experience things beyond what your mind has ever been able to remotely imagine or fathom. This has certainly been my experience. Furthermore, we are so used to thinking, “When am I going to feel better?”, “When will the pain stop?”, or “Will it always be like this?” that we miss living in the here and now. I have spoken about ways to bring you back into the present moment. Now I elucidate how important this is for the person who is living with anxiety. When we are constantly in waiting mode – waiting to heal, waiting to feel better, and in wanting mode – wanting ‘it’ to be different than however ‘it’ is showing up for us now, then we are missing out on so much power for ourselves. We close the door on allowing ourselves to experience what is possible in the now. When we are constantly holding ourselves in the future and comparing it to our past, we are in resistance what is in the present. When we surrender to the ‘now’ and accept it, we will feel an energy shift from tension to relaxation. The shift may seem subtle, but it is a very powerful one. We must surrender our “when” and accept the “now” and we are no longer caught in the cycle of worry over the future. As long as we hold onto ‘when’, we hold ourselves in doubt about our future and doubt about what is showing up in our ‘now. That is a lot of resistance and pushing against ‘what is’at the moment that we are experiencing. We swerve away from opening to the extraordinary power we have to adapt to circumstances when we keep the cycle of waiting to go. The resistance is what is at the root of our pain. When we drop and shift away from our idea of resisting what is showing up for us and surrender to it instead, we find relief for our pain. 9) Love yourself – for real: Find and hold a great and mighty space of compassion for yourself, and in holding that space, you will find that you feel that you can also hold a vast space of compassion for the world. Let your heart take center stage. Live from here and find contentment. READ Why Seeking Medical Information Regarding Health And Fitness In The Web Is A Huge Success? Previous post: Does CBD Work for Pain?